If I had to do it over again, I wouldn't change one bit of our trip. I would, however, make sure to focus on seeing these things first! The ruins of this gothic church are reminders of the devastation Lisbon experienced in the 1755 earthquake. The site also hosts the Carmo Archaeological Museum, where you'll find tombs, mummies and artifacts. You'll likely only spend 30 minutes to an hour here, but it's well worth it. 2. Spend an Afternoon at LX Factory. I wasn't sure we were going to have time for this on our trip, but HOLY am I ever glad we did. Our time at LX Factory was actually spent in the evening, but if I were to go back I'd make sure to visit in the afternoon when most of the shops are open. LX Fctory is a trendy market-style mini neighbourhood. Held only on Tuesdays and Saturdays from dawn to dusk, you'll find a unique collection of antiques, pottery and jewelry at this iconic Lisbon market. You'll discover that ceramic phallus' are quite common in these shops - the perfect gift for Grandma!! In the Belem area you'll find this UNESCO Heritage Site packed with unique architectural detail. This is a great activity to go on a rainy day in Lisbon, although prepare to line up outside in the rain! The earlier you get there the better as lineups can be quite lengthy. To get there from downtown, you will need to take either tram 15 or tram 127 from Figueira Square (Praça da Figueira) or Comercio Square (Praça do Comércio) and get off it as soon as you pass the Monastery. It's easy to find yourself downing 1, 2, or even 10 of these in a day. Good thing you can justify it with all the walking up hills you'll be doing in Lisbon! Pastéis de Belém can have quite the lineup but it's worth the wait to get your hands (I mean mouths) on these delicious tarts. If you're looking for a gluten-free spot for egg tarts, you won't be disappointed at Zarzuela. The Belém Tower, aka the Tower of St. Vincent, is a must see in the Belem district. Whether you have time to go inside or not (we could only visit after hours), this UNESCO site is worth the trip out of the city centre. 16th Century Portuguese Manueline architecture meets a seemingly random location along the northern bank of the Tagus River. If you want to go inside tickets are €6and you can visit from 10-5:30pm year round. TimeOut Market is a food hall unlike any other. It features the best chefs and dishes in Lisbon and is the perfect spot to test out a variety of delicacies. This market is perfect whether you're travelling solo or in a group, as everybody can grab something from a different stall and eat together in the centre of the market. Prepare to have to hunt for a table as this place can get BUSY. The bright and spacious Praça do Comércio is one of the largest squares in Europe. It really feels like the gateway to the city from the Tagus River, and a walk underneath Rua Augusta Arch, although inducing neck pain from staring at the ceiling for ages, is the iconic welcome to Lisbon. The neighbourhood boasts souvenir shops, clothing stores and mostly touristy restaurants (don't eat here if you want a legit Lisbon meal). Although buying tinned seafood might not initially tickle your fancy, hear me out. Sardines are really the spirit of Lisbon and the cute packaging make them the perfect souvenir. Swing by the Conserveira de Lisboa, a shop that for over 80 years has specialized in different varieties of sardines. If you want more than just teeny fishies, visit A Vida Portuguesa. This adorable shop provided one of the best shopping experiences of my time in Lisbon. Lining up for the Elevators - There are a few historic "lifts" around Lisbon that seemed to attract a fair few tourists. We preferred checking out the Miraduor lookouts instead. Castelo de Sao Jorge - This is usually on people's "must see's" but we weren't devastated to miss this (and the crowds). Avenue Infante Santo - It's basically on the side of a highway and not worth the trouble of getting there. Not sure where to stay in Lisbon? The city has some of the coolest Airbnb's I've ever seen and staying in a bright, minimalist loft makes you feel like a true local. Click this link to receive $45 off your first Airbnb booking. 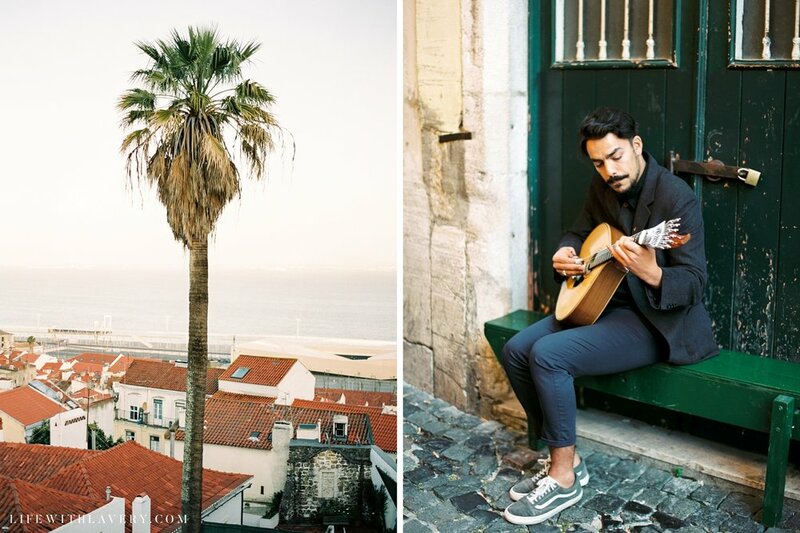 What's on your Portugal bucket list? Share your highlights in the comments!